Western Europe’s best-kept secret boasts over 500 miles of beautiful beaches and 3,000 hours of sunlight a year. A well-preserved treasure for its continental location, Portugal offers easy travel between wildly differing landscapes. See green rolling mountains, rocky peaks, vast desert, and the beach, all in one tour. You’ll never be far from the sea, so fill up on seafood-packed signature fare, and if your ensemble is of age, don’t miss Porto’s wine country. It’s the birthplace and capital of port wine. The city of seven hills is a must-see, too – Lisbon, the real capital city, is a hilly port town (the other kind of port) with trolleys and historical charm. Everywhere you go, keep your ears open for fado performances. Portugal’s heavily respected music tradition would inspire any performer. When the fado singer starts, you stop and listen. Castle of São Jorge: The Castle of São Jorge is a one-stop shop of Portuguese heritage. After visiting the castle itself, explore the nearby archeological site, where traces of Moors from the seventh century BC lie near the ruined palace of the Aláçova. Don’t forget to peer through the periscope in the Tower of Ulysses before you leave. The 360-degree view of today’s Lisbon will bring you right back to the present. 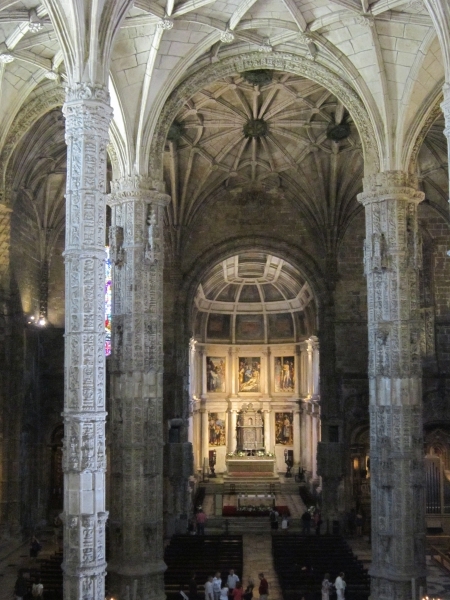 Jerónimos Monastery: In the monument-packed Lisbon neighborhood of Belém, visit Jerónimos Monastery and the Belém Tower. Both pay fascinating tribute to the Portuguese Age of Discovery with plenty of history and lore about explorer Vasco da Gama, who is buried on the grounds. You’re sure to make some discoveries of your own!